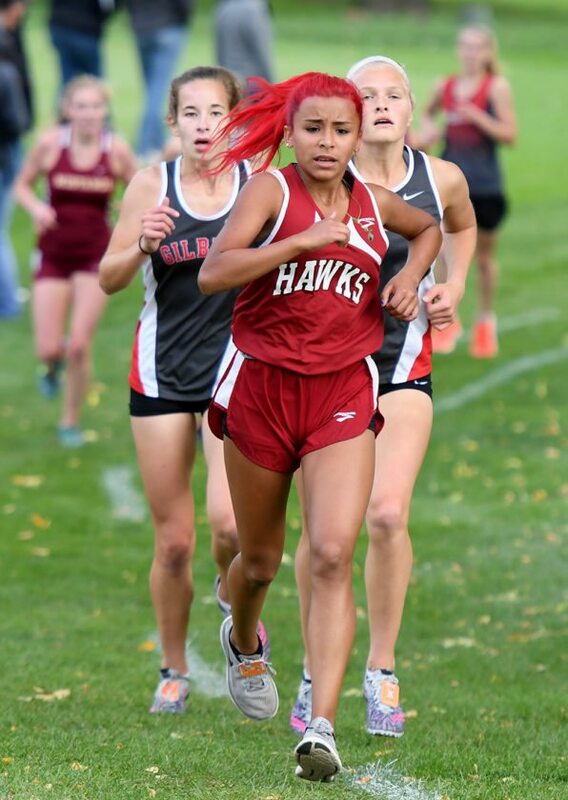 JEWELL — With bright — and we’re talking really, really bright — red hair bouncing in the wind with each stride, it wasn’t difficult to pick South Hamilton freshman Yolanda Licea out of the crowd of 119 runners at Monday’s Heart of Iowa Conference meet. At the rate she’s going, it won’t be too long before it’s Licea’s budding talent that makes her stand out. 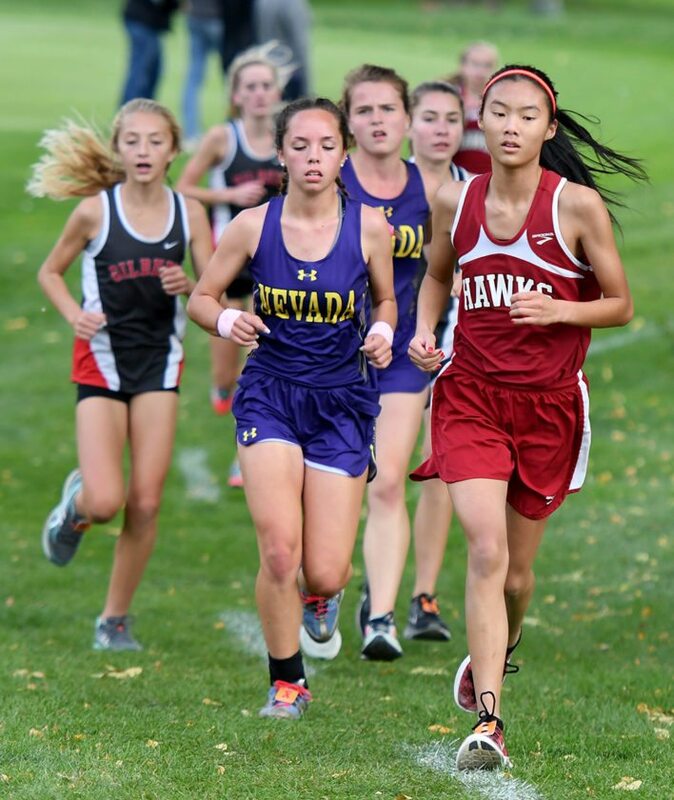 The temperature dropped, the wind whipped and the competition was fierce at the Jewell Golf and Country Club, but Licea still managed to lower her girls’ 5K school-record clocking for a third time in the past two weeks. Taking it out strong from the gun, Licea fought the elements and gutted out a time of 22:35 to break her previous record by five seconds. She still remains the only South Hamilton female to complete a 5K in under 23 minutes. The goal was to crack the top 14 and earn one of the coveted all-conference slots. 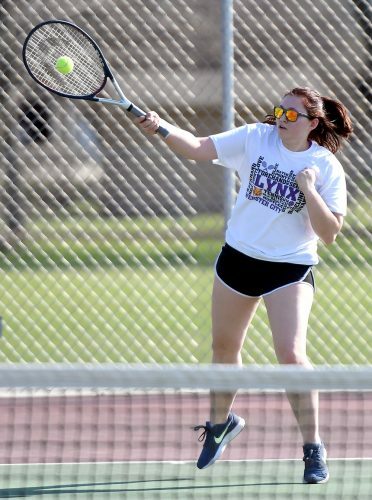 But with North Polk and Gilbert hoarding nine of the top-10 spots, it wasn’t in the cards for Licea. She settled for 19th place. North Polk, ranked third (Class 3A), fended off seventh-ranked (3A) Gilbert by three points, 28-31, to hoist the conference championship trophy. Prairie City-Monroe was a distant third with 104 points. South Hamilton was seventh in the field of eight teams with 172 points. 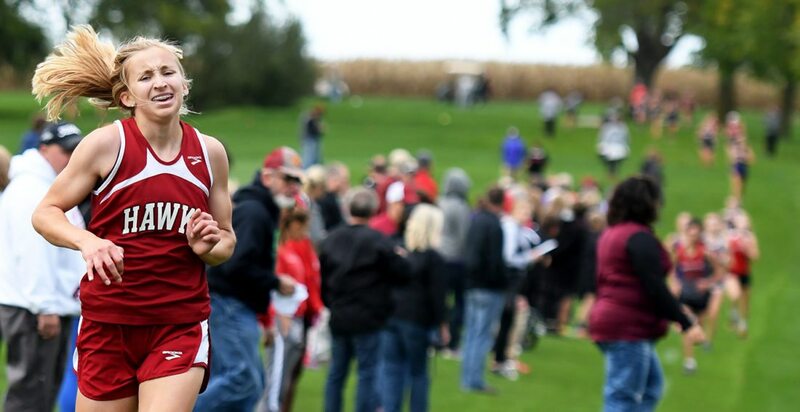 North Polk’s Amelia Lesher paced the field throughout the 3.1-mile excursion and seized the individual title in 20:00. Gilbert’s trio of Maggie Pollard (20:24), Emily Branson (20:30) and Allison Weiler (20:39) took the next three places. 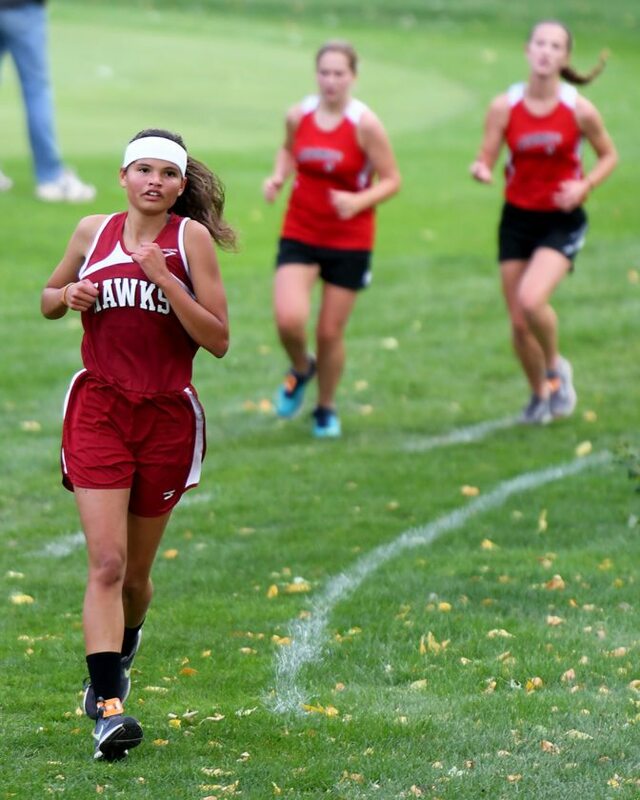 North Polk’s Sophie Blanchard (20:50) rounded out the top five. PCM’s Baylee Smith (21:45) was 10th, spoiling the Comets’ and Tigers’ bids of controlling the entire top 10. 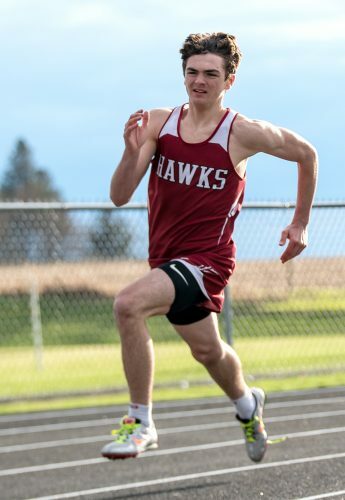 South Hamilton has been led by its freshman trio all season and that continued on Monday. Rookies Marissa Jensen (23:41) and Abby Ervin (24:05) put together strong races and placed 29th and 31st, respectively. Paulsen remained upbeat about his rookies and says they’ve only cracked the surface on what is possible in the future. 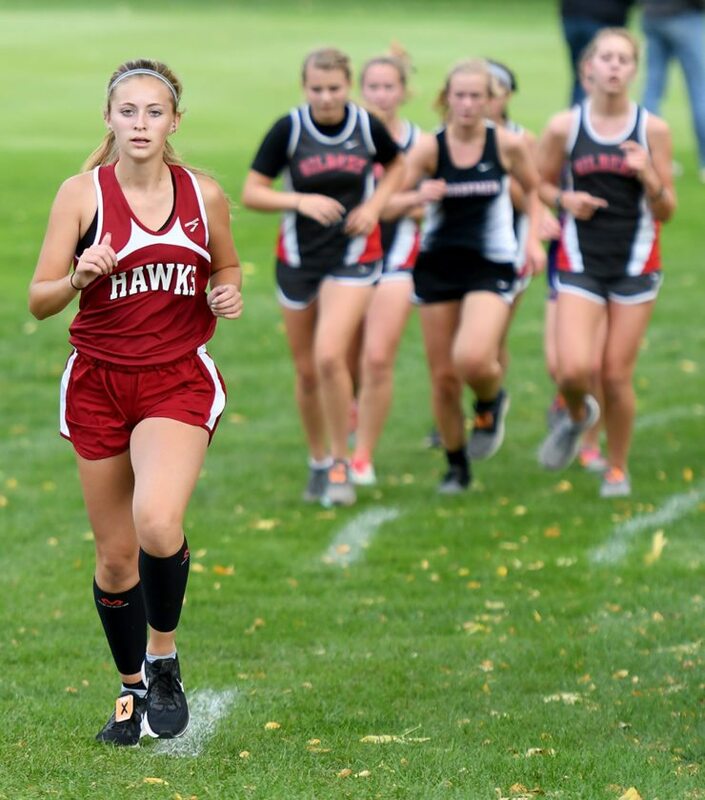 Emily Willadsen (26:10) gave South Hamilton a 45th-place performance and Hayley Bell (27:03) completed the scoring team in the 48th position. 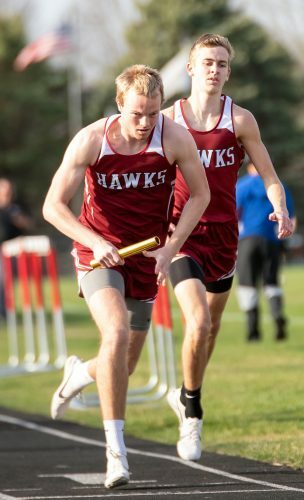 South Hamilton will now have time to rest and heal several injuries before next Thursday’s 2A State Qualifying Meet at Dike. Paulsen is hopeful Natalie Johnson will be able to return to the lineup for the first time since early in the season. 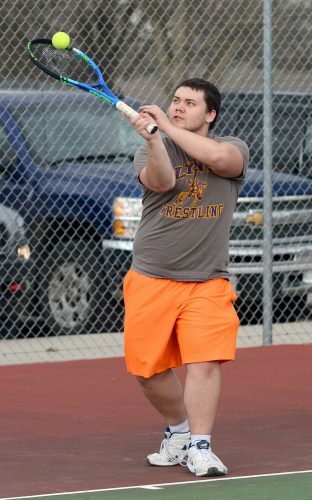 He also believes his freshmen will have viable opportunities to compete for spots in the state meet. 1. North Polk 28; 2. Gilbert 31; 3. Prairie City-Monroe 109; 4. Roland-Story 117; 5. Nevada 119; 6. Greene County 151; 7. South Hamilton 172; 8. Saydel 238. 1. Amelia Lesher (NP) 20:00; 2. Maggie Pollard (GIL) 20:24; 3. Emily Branson (GIL) 20:30; 4. Allison Weiler (GIL) 20:39; 5. Sophie Blanchard (NP) 20:50; 6. Emily Paterson (NP) 21:08; 7. Kennedy Wendel (NP) 21:23; 8. Hannah Thatcher (GIL) 21:24; 9. Abi Zimmer (NP) 21:45; 10. Baylee Smith (PCM) 21:45; 11. Kylie Tjernagel (R-S) 21:56; 12. Kirstin Ives (PCM) 21:57; 13. Kaitlyn Kilstofte (R-S) 22:00; 14. Livvy Hampton (GIL) 22:06. 19. Yolanda Licea 22:35; 29. Marissa Jensen 23:41; 31. Abby Ervin 24:05; 45. Emily Willadsen 26:10; 48. Hayley Bell 27:03; 50. Ella Carlson 28:10; 52. Brookelyn George 29:24.